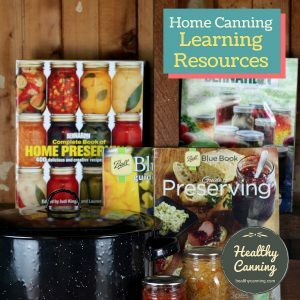 How energy efficient is home canning? Just how much is it going to cost you in cooking fuel to boil all that water for jam, and to pressure can all those green beans? 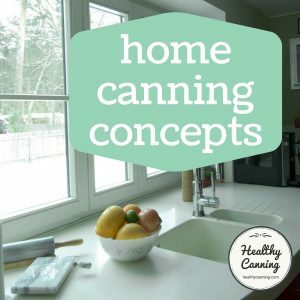 What's the most cost-efficient method of canning? 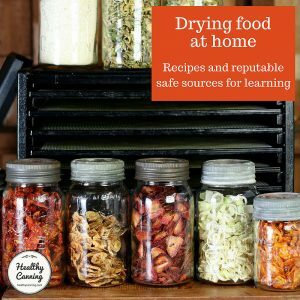 A consensus seems to be that while canning is more energy-intensive than root cellaring or drying foods, it is less energy-intensive than refrigeration or long-term freezing. 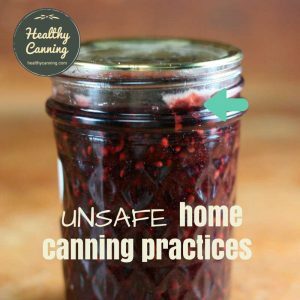 When you are canning, you use the energy once, and then the storage is free after that. Refrigerated or frozen storage requires the meter always running twenty-four hours a day, 365 days a year. It wasn’t out of the goodness of their hearts that electricity companies did everything they could to help consumers jump on the home freezing bandwagon when freezers became available. Still, when you first start off doing a lot of canning, you may be afraid of what your cooking fuel bill is going to look like. If your area offers off-peak rates, you will certainly want to plan to do your prep before those times and turn your canners on when off-peak times start. 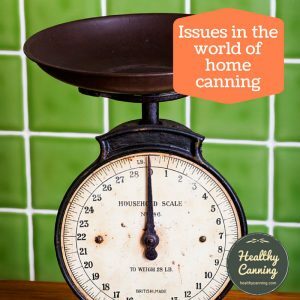 You will be able to gauge how much your canning is costing you with your cooking fuel in your area after a few months. You will likely be surprised at how many jars of food you were able to process for whatever energy increase you see. 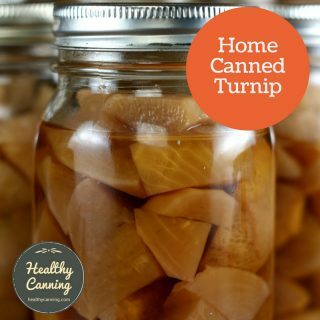 Even people who live in high energy cost areas report being pleasantly surprised how little an impact a month of intensive canning had on their bills. As an example, we know of people in the eye-poppingly high energy cost province of Ontario, Canada where electricity is 18 cents / kWh who have done intensive canning in the harvest months of July and August on electric stoves and reported that for each of those months in 2015 the canning was responsible for only a 20 dollar increase per month. So, about 40 bucks extra in total, representing about 200 to 300 kWh, for canning somewhere in the range of 1500 to 2000 jars of food, which was the yearly supply of home canned goods. Roughly 1/2 cent a jar. 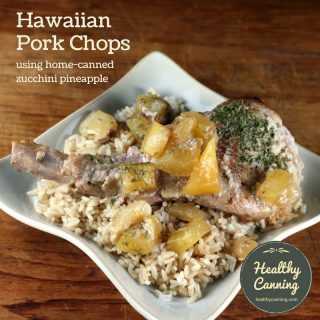 Note: the households weren’t sure how much of the increase was solely owing to canning, as some of it might have been air conditioning to help keep the kitchen cool. That being said, people canning on wood stoves who have to chop their own wood will have the most keen sense indeed in real time and in very real terms of the cooking fuel required. Having two sizes of pressure canners, such as the smaller Presto 16 quart canner, and the larger Presto 23 quart canner, means you can choose a size most appropriate for a particular canning run. Try to run full pressure canner loads whenever possible, even if it means tossing a few jars of stock in as place fillers so that at least a canner isn’t running just for a few jars (if the processing time will be sufficient for that stock, of course.) 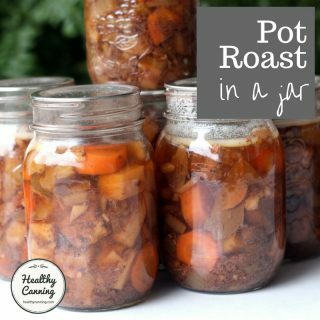 You can also combine similar time items: for example, putting jars of carrots in with jars of green beans in your pressure canner. The green beans will have to undergo the extra five minutes required for the carrots, but will be fine. 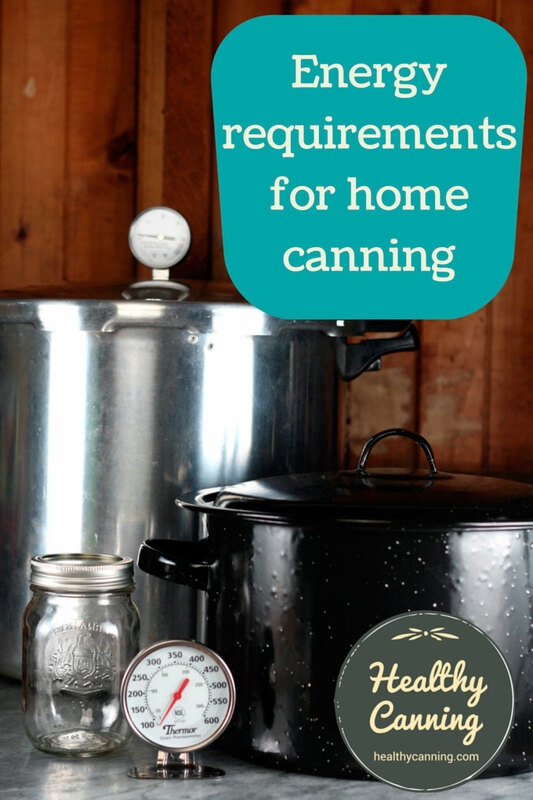 What’s the most cost-efficient method of canning? 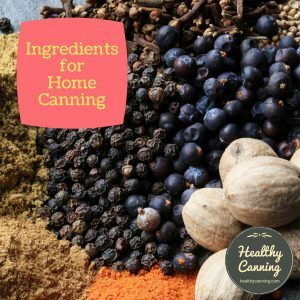 The three approved processing methods are pressure canning, steam canning and water bath canning. 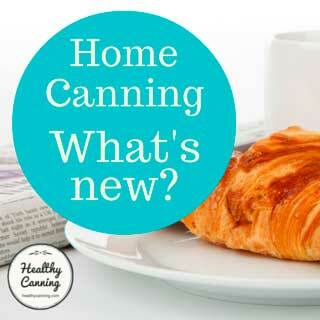 Steam canning and water bath canning are equivalents and can be used interchangeably. 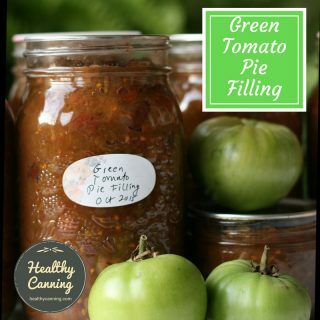 You rarely have a choice of either pressure canning or water bath / steam canning, but, there are some approved USDA recipes (for some fruit and tomato products) which give do you the choice. On paper, a process time of 10 minutes for the pressure canning option for pears compared to 25 minutes for water bathing seems like the winner energy wise, hands-down. But it’s often not — see the comparison. 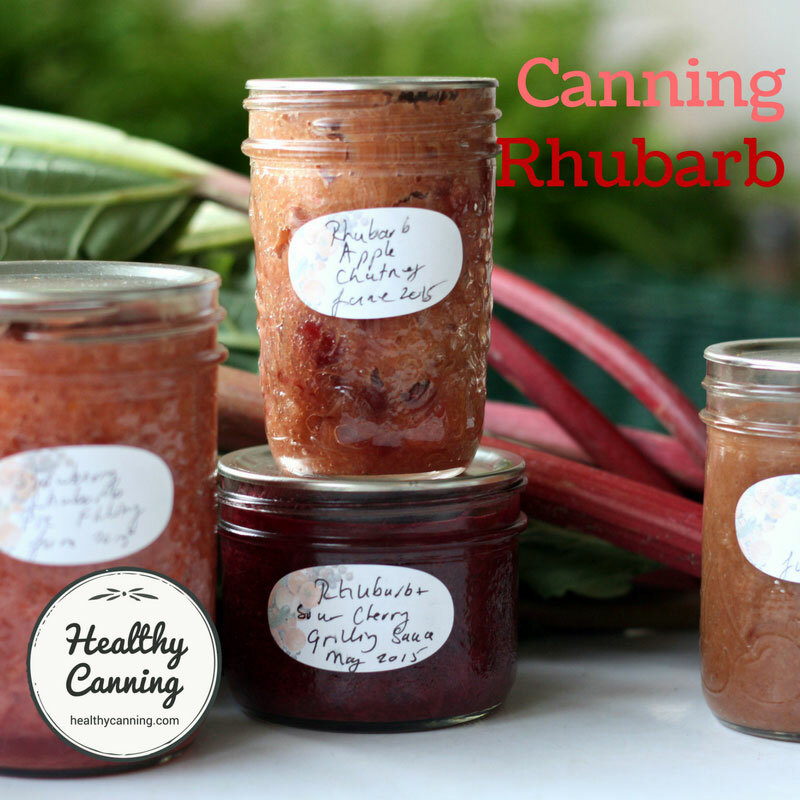 In truth, the winner in those two options is — steam canning, which is faster than both. Whenever you are processing high-acid foods whose processing method is water bath canning, the most energy saving method of processing those is through steam canning. The savings isn’t in the processing time — the processing times are the same — but rather in the come up to speed time. A full large pot of water can require a burner on full blast for 35 minutes or more just to get the water to start boiling, and then another 10 minutes to return to a boil after the jars are put in. In a steam canner, typically only about 10 to 15 minutes is required for processing times to start. You still hear stories of people who unsafely try to can low-acid foods such as green beans by processing the jars for 4 or 5 hours in a vat of boiling water. Not only is this foolish safety and quality-wise, it’s foolish energy-cost wise. The pressure canning processing time for a pint jar of green beans is only 20 minutes. Who in their right mind would want to spend all that extra energy cost money just to end up with an unsafe product, to boot! 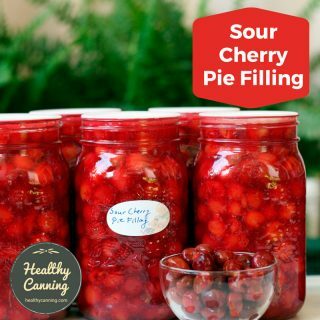 Looking for the most efficient, approved processing method for the product you are canning can both save you money and reduce your carbon footprint. It’s a win for you, and a win for the environment. But remember, safety first — never, ever deviate from a method allowed by the tested recipe you are using. When you are running a full canner load of green beans in pint jars (say, 23 quart Presto pressure canner), which can hold 18 to 20 pint (half-litre) jars depending on the brand of jar, you are cooking green beans for 18 to 20 meals for two people all at once. You have also realized energy efficiency in doing that. During the 1930s and 1940s, canning authorities were indicating that they strongly preferred people to pressure can vegetables rather than water-bathing them. Safety and quality were the main reasons, of course, but part of the reason was energy savings as well. During the Second World War, the Canadian government was advising people to pressure can pints of green beans for 35 minutes (too long, we know now, in fact — 20 minutes is the time), or if they had to, to water bath them at a full-rolling boil for 3 hours (still dangerous, we know now.) Timetable for Vegetables.In: Wartime Home Canning of Fruits & Vegetables. Consumer Section, Dominion Department of Agriculture. Page 14. 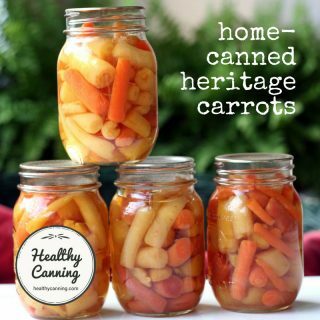 Accessed March 2015 at https://wartimecanada.ca/sites/default/files/documents/Wartime%20Canning%20.pdf So not only did pressure canning green beans save your life, it saved you a lot of cooking fuel, to boot! Pat Kendall and L. Payton. Cost of Preserving and Storing Food. Colorado State University Extension. No. 8.704. August 2008. 1. ↑ Note: the households weren’t sure how much of the increase was solely owing to canning, as some of it might have been air conditioning to help keep the kitchen cool.